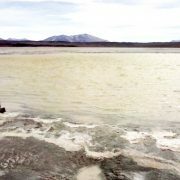 Vancouver, BC – Ultra Lithium Inc. (TSX-V: ULI) (FSE: QFB) (“ULI” or “the Company”) is pleased to announce assay results from recently concluded prospecting and sampling program at its 100% owned Georgia Lake Lithium Project located in the Thunder Bay Mining District, Northwestern Ontario, Canada. The results confirmed the presence of up to 2.73 % lithium oxide (Li2O) in grab surface samples in lithium pegmatites on the property. Out of total 21 samples, ten samples showed over 1% lithium oxide and five samples over 2% lithium oxide with a maximum value of 2.73%. The lithium pegmatite dikes are dipping at steep angle over 76 degrees. 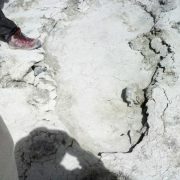 Spodumene is the main lithium bearing mineral in these pegmatites. The fieldwork program was carried out last month. The purpose was to verify historically reported lithium pegmatites on the property and to execute the stripping, trenching and channel sampling plan upon receiving permitting from the Ministry of Northern Development and Mines of Ontario. Samples were prepared by Actlabs’ preparation lab in Thunder Bay, Ontario, and then shipped to Actlabs’ analytical lab in Ancaster, Ontario, for analysis. Actlabs is an independent lab accredited by ISO 17025. The samples were digested using sodium peroxide fusion and analyzed for the major elements by ICP and trace elements by ICP/MS (Method: FUS-MS-Na2O2). pegmatites are Lithium–cesium-tantalum (LCT) type where spodumene is the main lithium mineral. A total of eight historically documented lithium pegmatites are located on the property.